While I was preparing myself to write a review of this brush, there were some others that appeared here. So, now I can say that I’m a true fan of this Kabuki brush! I bought it to apply my powder, so I haven’t even tried to apply any other products with its help. 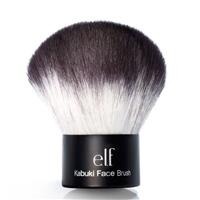 It’s the first Kabuki brush I’ve ever used. At first I used to think that it isn’t convenient to use because of the shape, but my worries turned vain. 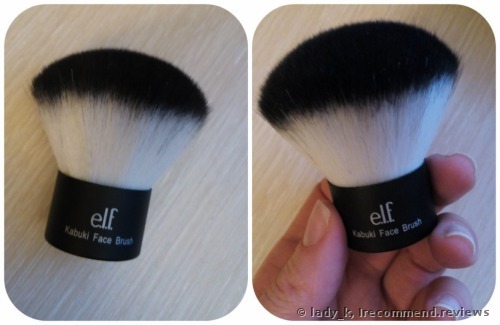 The brush is densely packed and not a bristle had fallen out for a month and a half of constant use. The taklon hair is very close in its characteristics to the natural one, but is more wear-proof and stays good after a number of washes. The only thing I’m slightly concerned about is the time the brush takes to dry out. It takes too long. Do any of you know how to reduce it? I want to confess and say that because of this factor I don’t wash the brush after each use. Maybe I need to buy the same one for a change. It’s very soft and silky to the touch. The use is pleasant and I can say I’ve never had such a fluffy brush before. I hope that you found my review useful and informative.